Ph.D. in Health Policy, Tel Avi University; M.D. The Hebrew University Hadassah Medical School and M.B.A. INSEAD, Fontainebleau, France. Director of the Chaim Sheba Medical Center Rehabilitation Hospital and Vice President for Research and Development. Associate Professor and Dean of Sackler School of Medicine; Tel Aviv University Department of Epidemiology and Health Care Policy, responsible for a clinical trials at Sheba Medical Center, Tel Hashomer, member of the Helsinki Committee and chairman of the Patents Committee. 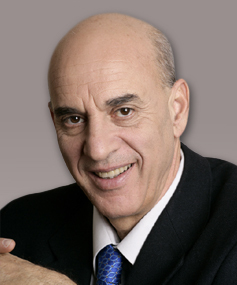 He has 23 years of experience in psychiatry, clinical, medical research in epidemiology, promoting research at the Chaim Sheba Medical Center, health care management, medical education and management processes and change in medicine and medical research, on both the international and national levels. Prof. Noy has published more than 80 articles, book chapters and books.